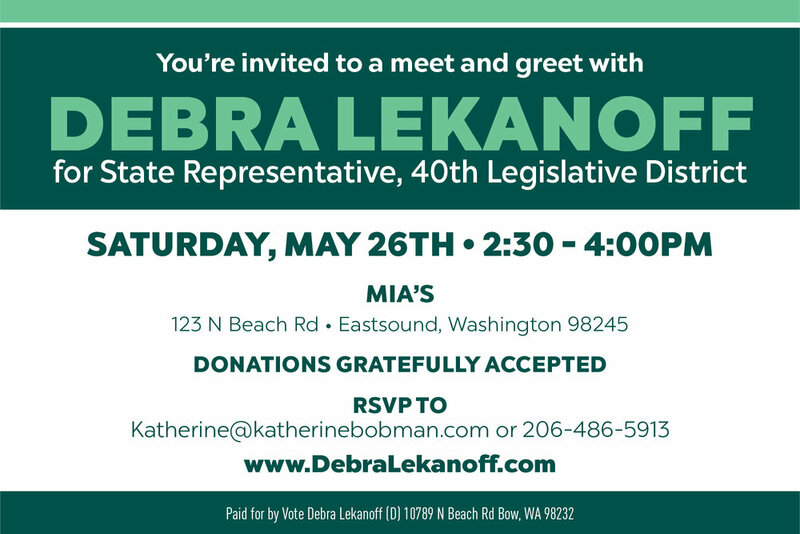 Debra Lekanoff is a super awesome woman running for the 40th LD! She will be on Orcas walking her dog in the pet parade and mingling around the farmers market. Please join us for an afternoon of food and drinks at Mia's to meet Debra from 2:30-4pm!